We need these. Right. Now. Look, we know that the point of eating dessert isn't to be healthy. It's a treat and we've chosen (no regrets) to indulge and be overcome with sweetness. But what if there was a way to eat your favourite decadent brownie, but also sneak in a healthy ingredient which you won't even taste? Welcome to the dessert party, chocolate zucchini brownies. These healthy(ish) brownies are exactly like the ones you know and love, but baked to perfection with added grated zucchini. Not sold yet? 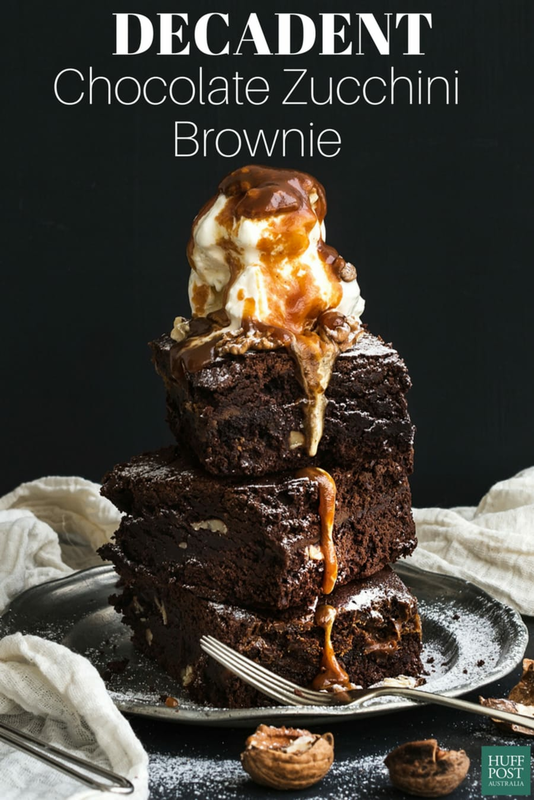 By adding nutritious zucchini to the batter, the water-rich veggie imparts its moisture to the brownie. Fudgy brownies for the win. Seriously, try them. You'll be surprised at how good these taste. Here's the full recipe.